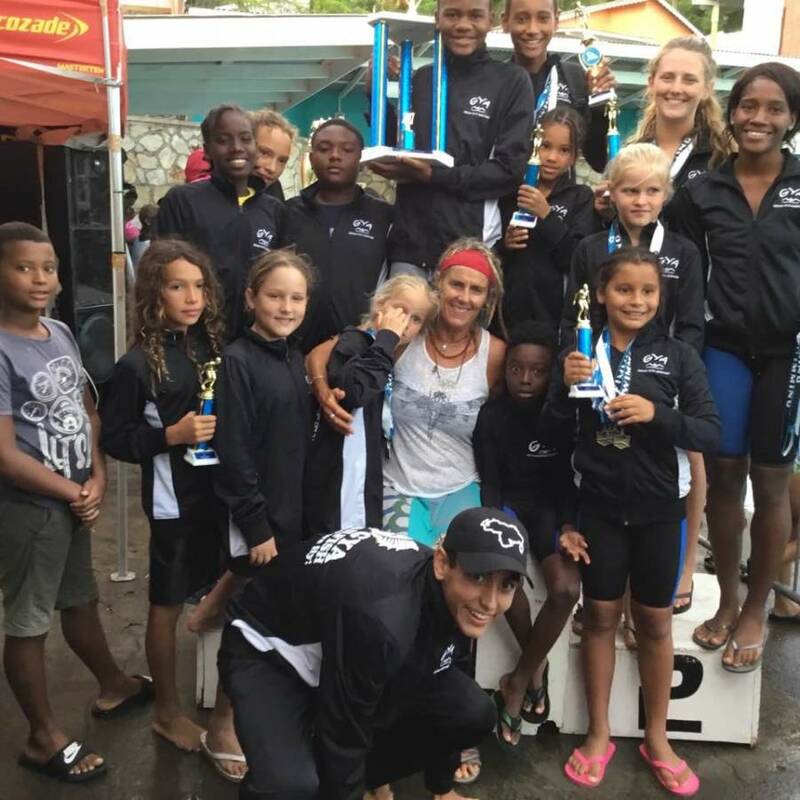 It was 4 of days non-stop swimming action at the Good Hope Pool in St Paul’s as over 170 registered swimmers took to the pool for the 2017 GRENFIN Invitational Swim Meet. 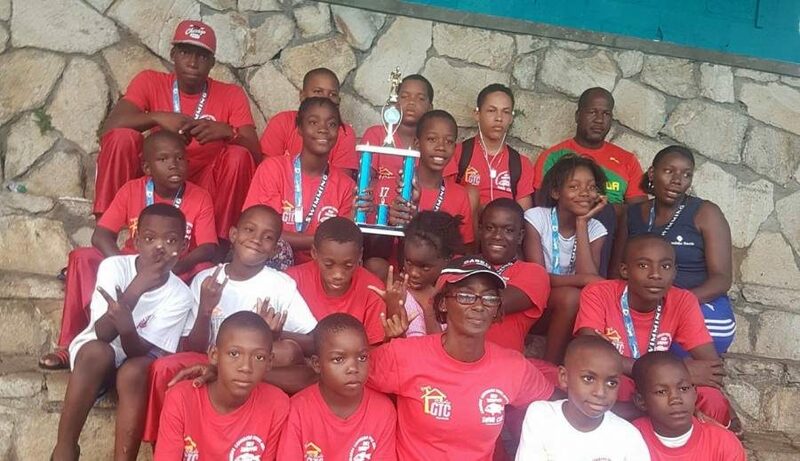 It was rigorous competition as swimmers from the various swim clubs across Grenada, Carriacou and Petit Martinique vied for the Meet Championship title and to secure individual spots among the 34 swimmers to be selected to form the OECS National Swim Team. At the end of the 1st day of competition with the 200 and 500-yard races completed, GRENFIN took an early but minor lead over GYA Sailfish with 211 points to 199 points respectively. However, GYA held the lead in the female competition, while GRENFIN maintained the lead in the male competition. By the end of the 3rd day of competition, GRENFIN maintained the overall lead, with GYA still holding the lead in the female and GRENFIN in the male. By day 4, it was evident that swimmers came out to put on their best performances, as a number of new records were set and personal best times recorded. The scene was electric as swimming fans were on the edge of their seats at every race. Four swimmers amassed perfect scores of 90 points as they won gold in 10 events in which they competed. Zackary Gresham, Jenebi Benoit, Delron Felix of GRENFIN tied for the most outstanding male overall trophy, while Jasmine Harrison of GYA Sailfish won the overall female division trophy. At the end of the competition the title sponsor George F Huggins presented the George A Menezes challenge trophy to GRENFIN the overall meet champion with a total of 2002 points. GYA Sailfish placed 2nd with 1888 points, and Carriacou and Petite Martinique combined Redsnappers, had a commendable performance placing 3rd with 248 points. Redsnappers Under-6 Boys’ swimmer, Jordel Simon, put on an impressive performance for his team placing 2nd in the 25-yard freestyle and 3rd in the 25-yard breaststroke. Along with his other team members, they showed great potential for the further development of swimming on the sister isles. Zeia Ollivierre (GRENFIN) and Alexandra Pugin (GYA) tied for Girls 6 and Under overall winner, while Issac Veinotte (GYA) took home the Boys 6 and Under title. In the Girls and Boys 7-8 category, the overall winners were Emma McIntosh (GYA) and Elliot Fletcher (GYA). In the 9-10 Girls and Boys, Sara Dowden (GYA) and Nathan Fletcher (GYA) walked away with the titles. Kimberly Ince (GRENFIN) and Zackary Homes (GRENFIN) were the overall champions in the 11-12 age group. 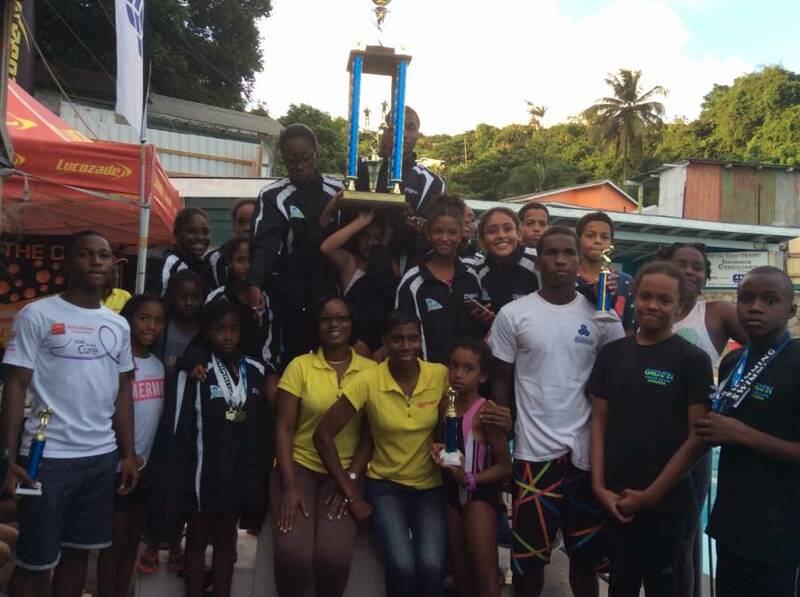 Kayia Ramdhanny and Jenebi Benoit topped the Girls and Boys 13-14 categories respectively, while the 15 and over titles went to Jasmine Harrison (GYA) and Delron Felix (GRENFIN). The Grenada Amateur Swimming Association in collaboration with GRENFIN Swim Club hosted the OECS time trials as part of this annual meet, and will select the 34-member National Swim Team that will represent Grenada at the 2017 OECS Swim Championships in St Lucia in from 10 – 13 November 2017. Grenada has won the championship title for 2 consecutive years and is vying to make it 3 consecutive titles in 2017.